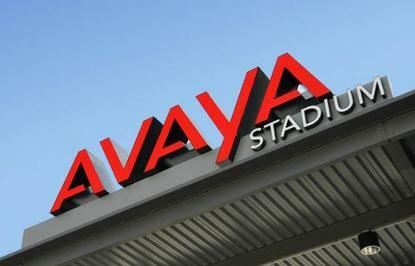 Communications vendor, Avaya, has expanded its channel partner program adding a cloud integrator stream to the fold. The move is part of Avaya’s Edge program strategy for 2018 to help enable cloud delivery, integration and management. The new track indicates the highest level of commitment to Avaya’s cloud business and makes it possible for partners to achieve Emerald, Sapphire or Diamond status as revenue will be opex-driven. The program also provides three types of specialisations (Cloud Specialist, Avaya Delivery Partner or Cloud Wholesaler) for traditional partners and distributors that are transitioning from capex or premises-based models to opex and cloud. The vendor has also made some new additions and enhancements to existing partner benefits involving cloud loyalty rebates, new customer registration and strategic development funds. Avaya vice president of US channels, Gary Levy, said the demand for Avaya engagement solutions as-a-service continues to skyrocket, and channel partners must play a critical role in sales, integration and delivery. “The 2018 Avaya Edge program focus on partner cloud enablement and rewards perfectly aligns with our overall strategy to help customers move to the cloud model at the pace that is right for their business, and to help ensure partners remain profitable and thrive throughout the transition,” he said. As well as the enhancements to its partner program, Avaya has also launched a new initiative called A.I Connect that will see Avaya collaborate with its technology partners on creating the broadest set of technology options involving artificial intelligence in contact centres and unified communications. The new customer experiences will be built on and integrated into Avaya Oceana and Avaya Breeze. A.I Connect will focus on five key areas such as effortless self-service, smart routing using big data; agent augmentation; interaction insights and enhanced workforce optimisation. Recently, Avaya unveiled its new cloud-based video conferencing and collaboration service, under the banner of Avaya Equinox Meetings Online. The subscription-based service is exclusively available to channel partners in around 30 countries - Australia and New Zealand (A/NZ) included - providing customers with unlimited use of virtual meeting rooms that support up to 50 participants.